The Circus Building has a wealth of amazing possibilities for large and small companies whether you are having a meeting, conference or a party. Find what suits you. Invite your colleagues on Business Break in Wallmans. You are guaranteed a fantastic experience with delicious dinner, spectacular show – and even the opportunity to be celebrated during the evening. 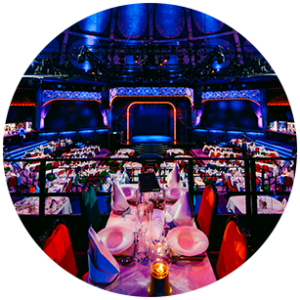 If you and your company do not have the opportunity to experience Wallmans Dinnershow in the Circus Building, then you have the option to get Wallmans professional artists to perform at your event. 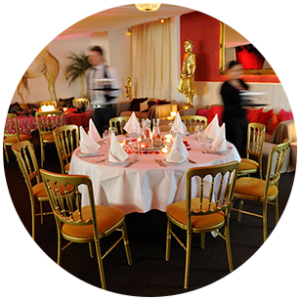 Conduct your meeting in the magical old stables of the Circus Building, known as Buddha Lounge, and end the day in a festive way with a wonderful 4-course dinner and the magnificent show in the Circus Hall. If you want to rent the entire Circus Building for your next conference, party, award show or something else, please contact the Circus Building. You also have the option to rent the old stables, Buddha Lounge.